There has never been a better time to be a digital entrepreneur than now. 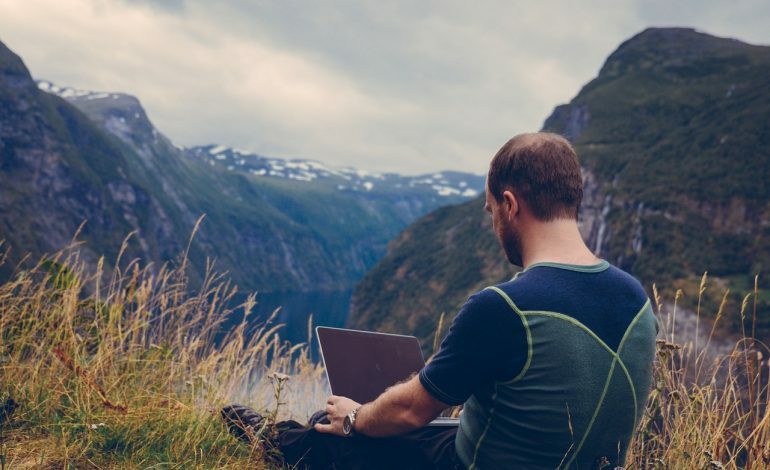 With companies having larger budgets, increasing salaries and expanding digital career options, more people are finding themselves being able to build their business from almost anywhere and at any time. As appealing as being what some refer to as a “digital nomad” may be, it does not come without its challenges. What challenges might you face when working remotely, you ask? We’ll share some of the least thought about issues you may face before delving into the many benefits and insider tips about being a digital professional. Working while traveling sounds like the ideal combination. Sun, sand, and profit – what’s not to like? But it does take a focused and organized individual to pull it off. Traveling means different time zones, changes in your sleep schedule, and difficulties trying to separate business time from your personal time. To establish, maintain or grow your client base, you need to properly plan time for work, sleep, and checking out your new surroundings. When you travel to a new country, you have to set up everything all over again which can be time consuming and costly. You will need to consider the best way for you to get access to the internet, where you can pick up a local SIM card if needed, and if the Wi-Fi signal at your temporary residence is reliable enough for you to be able to work efficiently. Get social and have a chat with other digital professionals before you go. If you are staying at a hotel or an Airbnb, you could ask them to send you speed tests prior to your arrival. 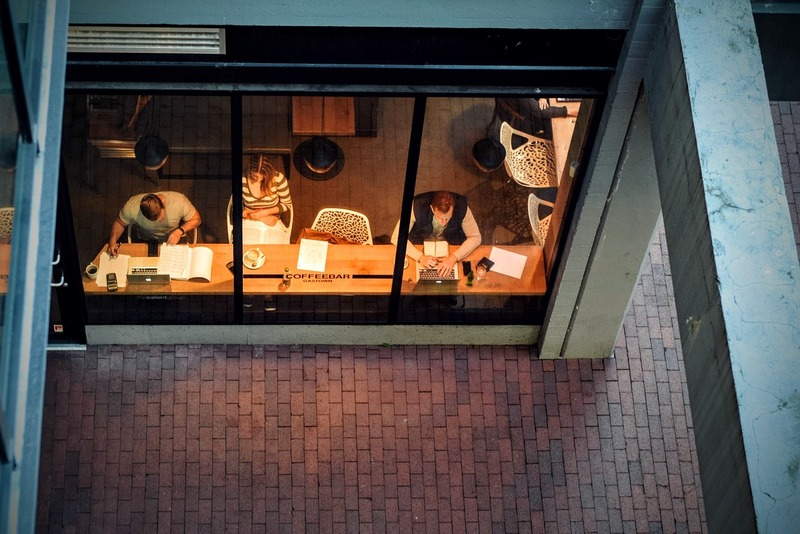 If you’re lucky, you may also be able to find co-working spaces (shared work environments) within a reasonable distance from where you will be staying. Being a digital professional is a unique lifestyle which often means being away from friends and family for days, if not weeks, at a time. This can lead to feelings of loneliness and isolation, particularly if you find yourself missing big life events like your best friend’s wedding. Instead of wallowing in your place, take time to venture out and meet new people. You can still connect regularly with loved ones using tools like Skype and Facetime (you might even be able to attend that wedding – virtually! ), and social media will help you keep the conversation flowing between old and new friends alike. Undervaluing your work in hopes of gaining more clients is not going to pay off in the long run. It can be difficult for you to increase your fees as time passes, and you may become so frustrated by continually providing exceptional work while also getting little pay that you become jaded. Don’t sell yourself short. Time tracking tools go a long way in solving many of these challenges by keeping track of how many hours you are putting into your work every day. You can bill clients accurately, better manage your tasks, and mitigate your costs. Be prepared. Make sure that you know where to get the items you will need, or bring them with you before you set off. As a word to the wise, also keep a backup debit and credit card with you (in a safe in your room that no one else can get into). You don’t want to be stranded and cashless for days or weeks in a foreign place. Despite the challenges that being a digital business owner may bring, there are a lot of obvious and also not-so-obvious benefits to be has from going digital with your enterprise. One clear benefit is the salary. Depending on your area of expertise, a digital professional can earn anywhere from nearly $US50,000 to over $US120,500. But being able to make a living doing what you enjoy is not the only appealing aspect to being a digital professional. No other type of work comes close to offering the same level of flexibility as a digital professional. You can organize your own schedule, determine when you will work, and create your own deadlines. Whether you want to work 12 hours a day or take a two-week vacation, you have the ability to do so without having to submit a request or beg the boss – you can even be your own boss. This flexibility will be a luxury for some. You can proactively determine when you will work and when you can retire based on how much you work and how much you decide you need to earn. For others, it may be a necessity. You may be in a situation where you have young or school-aged children at home and you have no access to childcare, or you may have a disabled family member you want or need to look after. Working on your own terms and schedule means that you can take off at a moment’s notice and work while also immersing yourself in new, exciting cultures. Traveling can be inspirational. It can allow you to connect with others in your area of expertise, to learn the latest strategies, or to meet prospective clients. It can give you time to rest and refresh yourself, and it allows you to appreciate new values and perspectives. This nurtures every aspect of you, from your personal life to your business life. With a remote business set-up, you can work with the best talents even if they’re based halfway across the globe. Alternatively, you can also tap freelancers to pick up jobs for you – what you want, when you want – so you can focus on your important tasks. The demand for digital entrepreneurs is on the rise, and the salaries are increasing along with it. A survey conducted by Prosperity in 2016 found that the salaries for digital professionals are rising faster than over the previous five – and the momentum of growth is increasing steadily. The research also found that there has also been a significant increase in the amount of digital professionals being hired. So if you want to get into the digital work world, now is definitely the time to dive in. For so many reasons, the internet has simplified the business travel process. 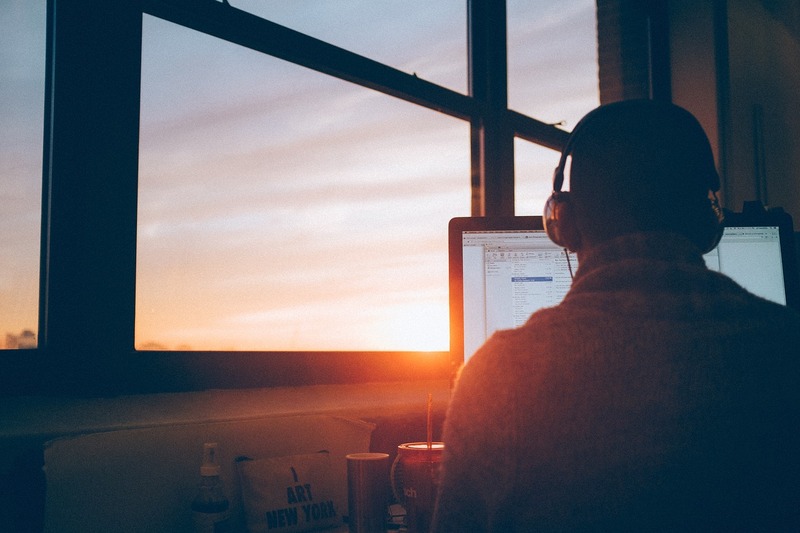 Never before have you been able to tap into a virtual office and work remotely from anywhere with an internet connection, whether that is from a beach in Baja, at a bus station in Whistler or on a 20-hour flight heading to Sydney. Digital professionals have the luxury of working wherever they please – most of the time. There may come a time or two when you will need to travel somewhere further than the local cafe to meet with a client, or you may have to head out to company headquarters and spend some time training and working with your team. It is easier to travel smarter and economically thanks to the several travel price comparison sites available on the World Wide Web. From flight times and accommodations, to car rentals and even excursions, you can plan out your entire business trip before takeoff. Because you are your own boss, you can also decide how much you need to work prior to, during, and after the trip in order for it to be affordable. The global economy recognizes the benefit of hiring outside of their country’s borders. Getting a visa no longer needs to be a strung out, complicated and stressful process if you choose a reliable full-service immigration company. Employment-based immigration services will help you fill out the paperwork for a visa (increasing the likelihood of it being approved), will educate you on visa regulations in different regions, and they will answer most – if not all – work relocation questions you may have. In the past, so many hardworking individuals missed the opportunity to charge for hours of work simply because they did not effectively track the amount of time they spent on a project or for a client. At the same time, businesses had a hard time tracking their remote employees. But now, with the right tools, you can virtually keep track of every second your team spends at work, in meetings, and on calls. Worried that a client may not believe how many hours you have logged at the end of the day? With screenshot monitoring features, a time tracking tool will validate every minute you are working for them. Tools like Time Doctor include additional features such as the websites and applications that were visited while you were working, which is good for your reference and for the clients. As a business owner, this is also a practical solution for increasing efficiency and productivity in your team. Being a digital entrepreneur means doing a lot of grunt work, but you can ease your burden with a handful of tools that will keep you connected to everything you could possibly need while at home or abroad. Now is not the time to try and cut corners. If you plan on being a digital professional, you need to have a great laptop that will be able to handle your workload. You may also want to invest in additional memory or backup storage so that you can store information without it affecting the performance of your machine. Small to mid-size businesses can benefit tremendously from Trello. This tool helps you save time by offering you the ability to create large to-do lists. You can create boards for different projects, attach files, build checklists, add other project members, and make comments. Tasks can be broken down so that you can see them being completed step by step. 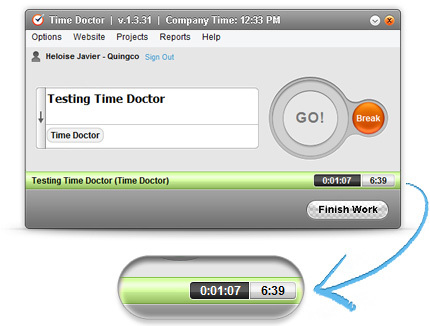 Not only can Time Doctor be integrated with tools like Trello, but it can be integrated with over 30 other products. 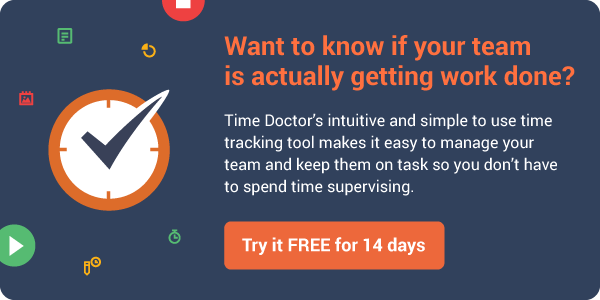 Time Doctor goes beyond being just a “time tracking” tool. If you have spent any time with this product as a digital professional, as a client, or as an employer, you will attest to the amount of time it saves and how much it increases individual and team productivity. Think this is a no-brainer? Think again. Many digital professionals do not take advantage of free tools like Google Drive where you can create, share and edit content with anyone who has a Google account (which is almost everyone). You can collaborate with teammates, employees clients, and others in real time without needing to email each other back and forth. Skype is a free tool where you can make free calls to virtually anyone in the world. You can be part of a job interview over Skype with a company across the globe, you can chat with others who are working on a project, and you can share your computer screen to educate others or to portray an issue you may be experiencing. Your immigration expert should be able to answer any questions you may have about applying for a visa like whether or not you are qualified, and whether or not you will need to take a medical exam. Forgo the temptation of traveling with a backpack. As convenient as it may be, it is less professional than a suitcase and will probably result in unnecessary back pain and the crumpling of important documents, and it won’t protect your laptop, tablet and smartphone nearly as well. Choose a carry-on size suitcase (you can make sure it is carry-on acceptable by reviewing the luggage allowance of any airlines you think you may be traveling with) that has a hard shell, has a telescopic handle, and that can travel on wheels for added convenience. You will come to love that suitcase as if it were your child. As exciting as traveling is, it can also be incredibly boring and stressful. You can help ease that burden by making sure that you have everything you need to keep you occupied while you are en route to your next destination. Don’t forget to bring along a set of headphones so that you can avoid the extravagant cost of purchasing a new set on flight or being stranded without a pair when on a bus or in a traffic-jammed taxi ride. If you are traveling for more than a couple of hours, you may want to get some shut eye during the journey. Many digital professionals bring along their own travel pillow and a set of ear plugs, though you may also want to try bringing a sleep mask if you are traveling during daylight hours. Avoid alcohol and caffeine if possible. Meditation can help you to relax into your flight, and there are great apps like the guided-meditation “Headspace” to help you. You can leverage social media as a way to stay in touch with a number of professional digital agencies who are looking for people just like you to work for them. Facebook is an obvious network to join, but you should also create a professional account on LinkedIn so that you can increase your exposure online and reach out to other experts in your industry. Be aware that Facebook, and even Google, may not be accessible in some countries, like China. The life of a digital professional can be hectic – but it doesn’t have to be. With these resources in your digital back pocket, you’ll be able to take on more jobs while remaining productive no matter where you may find yourself. Upwork: This website is a great way to find clients from all over the globe including India, Australia, Canada and the United States. Clients post jobs and freelancers then bid on those jobs to compete. Freelancer.com: Similar to Upwork, freelancers place bids on jobs they are interested in. Outsourcely: Outsourcely is known for bringing clients together with reliable and vetted remote workers from nearly 200 countries. Unlike many other freelancing and remote work websites, the goal of this website is to build sustainable long-term relationships. Bonus: You can be hired directly and you pay no fees! Trivago: Need to travel but want the best price? Save money and a headache by taking advantage of Trivago’s hotel, car rental, and flight finder. Pathway Visas: Skilled in obtaining international visas for those interested in immigrating to Canada and Australia, Pathway Visa’s team of immigration experts can also help with Irish, Danish, German, UK, and American visas. Duolingo: With this handy app, you can become fluent in one or more languages right from your tablet or your smartphone. TechCrunch: These people are on top of any changes or new developments in technology. Visit their website daily or “Follow” them on Facebook for regular updates. Mashable: This holistic news site will keep you up to date with everything you need to know in social media, tech, business, entertainment, and more. Twitter: Get your news quickly and easily by signing up for Twitter and following companies like @FastCompany and @AdAge. Being a digital entrepreneur is not for the faint of heart. On a final note, here are some quick tips to help you plan and be successful in your career and business journey. Make sure that your current client base is going to be able to realistically support you while you’re out on the open road. Depending on which country you plan on working in, you may need to wait months for a work permit. Those planning to head to Australia may only need to wait four weeks, while those wanting to go to Canada may need to wait approximately three months. Enlist in the help of a leading company which helps people obtain a visa so that you can determine whether or not you’re eligible for a work permit and so that you understand exactly what you need to provide to obtain a visa. Traveling for business makes it all the more difficult to strike that fine work/life balance. Set a limit for how many hours you will work each day and keep a reliable record of your time. This is not only helpful when it comes to billing clients, but it will force you to take time for yourself to enjoy sightseeing, keeping in touch with people back home, and immersing yourself in whole new cultures. Finally, being on the road may tempt you to indulge in processed familiar foods because you are tired or scared to try new things. Whether your company is covering your meals or it’s coming out of your own pocket, make eating well a priority. This will prevent the dreaded “burn out,” keep your immune system going full-throttle, (again, keep in mind medications across borders are not always the same or even accessible), and it will introduce you to new delicious regional foods you can brag about to your friends.